In my last post I divulged my weakness for pretty much any art form and all art materials. 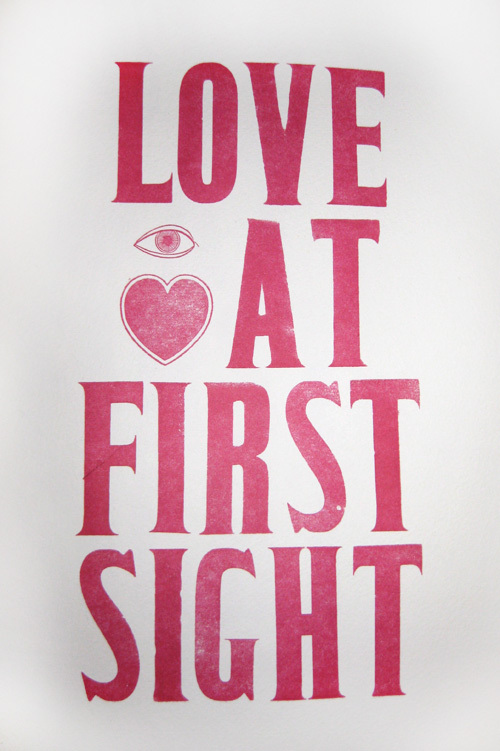 When I discovered letterpress printing, I fell in love with yet another means to a creative end. 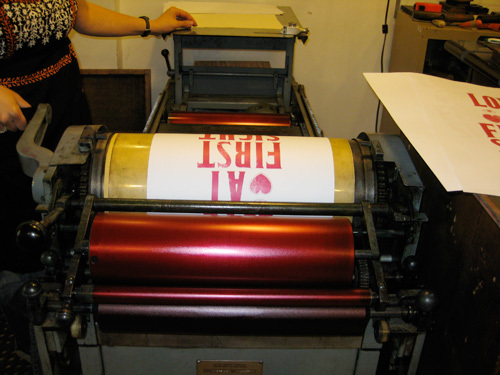 What is letterpress? 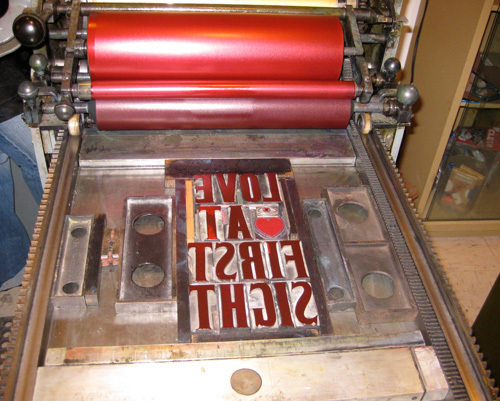 The short story is it’s relief printing using movable type or a custom made plate by locking it in the press, inking it and rolling or pressing against paper to form an impression. The long story can be found here. The goal before this revival was that you could not tell there was an impression, the type contacted the paper enough to transfer the ink but not leave an impression. However today, when speaking of letterpress, the goal is to have that impression be evident, to distinctly note that it is letterpress. Sort of funny how goals change over time. Before the digital printing age we strived to achieve the smooth digital printing look; now we pay more for relief printed invitations, posters or the like! My intrigue started when I had started seeing really beautiful wall art letterpress posters and this fun letterpress Tooth Fairy Certificate! 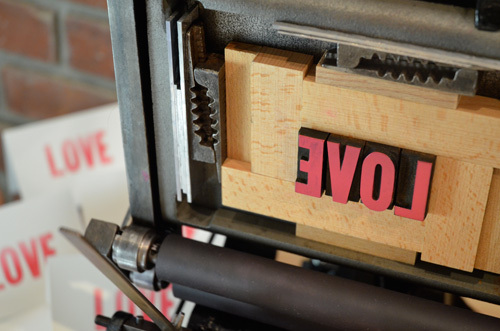 After a quick internet search, I found the perfect introductory workshop to try my hand at the process and to learn first hand what letterpress printing is all about. It was at this workshop that Tanya, of Snap + Tumble, told me about Don Black, the guy to know if you’re into any sort of linecasting or letterpress printing. I was so enamoured by the workshop that I went straight from Tanya’s home studio to Don Blacks (which happens to be only a few blocks away) to learn more. 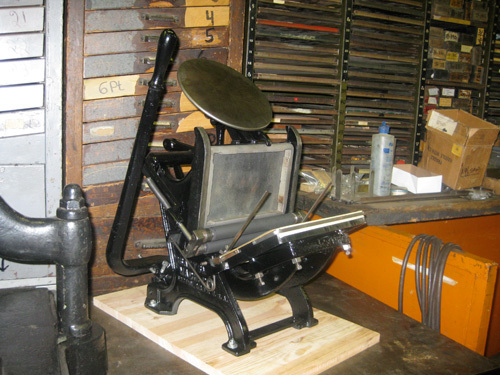 It was during this first visit, my first exposure to the letterpress process really, that I put my name down for a press, a Craftsmen table top 5 x 8 platen press. They often have wait lists for presses than come in and need refurbishing. A few months later I took another workshop, this time at Kozo Studio, where I created the “Love at first site” poster on a Vandercook SP 15.. that was pretty cool. 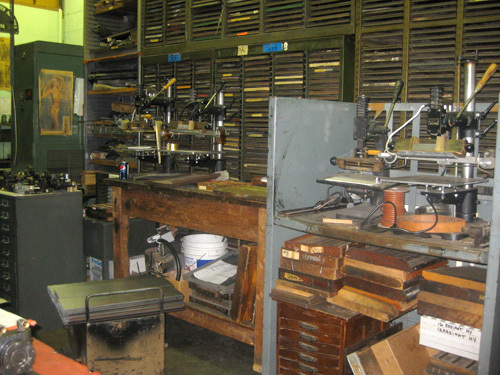 Thankfully Kozo Studios is not close to Don Black’s and I didn’t commit to buying a Vandercook! The photos below show how massive this press is! Later that summer my press was ready! Made the trip back to Don Black’s.. a really amazing place! 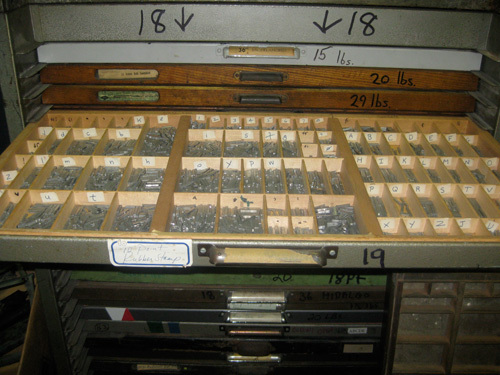 I refrained from going nuts buying metal and wood type and vintage cuts (images) but I picked up a few cuts and took a picture of this tray so that I could remember how to set up my type in a tray at home. I’d like to say that the rest is history but by the time I picked up my press I was pregnant with baby #2 and short on studio space, so my little but heavy press went into storage until recently. After a bit of research and a trip to Above Ground Art Supplies, I’m ready for the experimenting process to begin! I’m just at the start of my letterpress exploration. 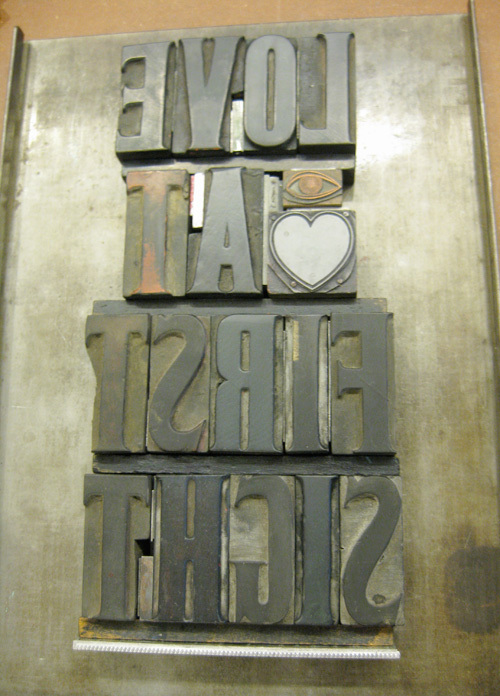 What used to be a fairly rigid lesson in typesetting and printing, now is only limited by imagination. But I feel like the sky’s the limits with creative opportunities. Like any medium, it’s the vehicle to creation. The true art is in the idea. 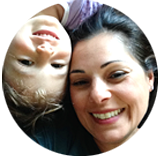 I have a few… I’ll be sure to share them here along my journey.